Cheap Inert Filler or Beneficial Reactant? There still seems to be some confusion about whether fine limestone in cement (up to about 5% as permitted by eg: US and European standards) is an inert filler, or whether it is chemically reactive and contributes to the cement hydration products. I have even heard cynics make the scurrilous suggestion that it is just a cheap filler added to bulk out the cement. Are they right - surely not?! 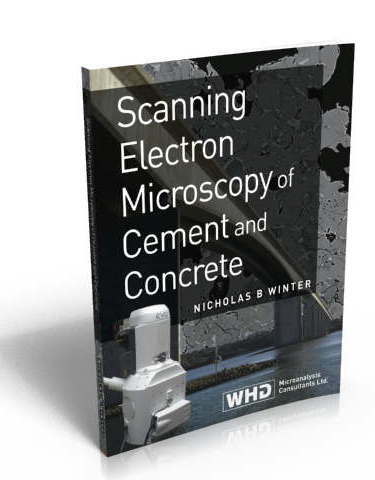 Actually, the cement scientific literature has been clear on this for some years, but I am still often asked about it. 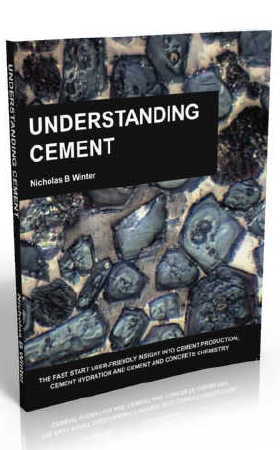 So, to clarify the issue, here is the "Understanding Cement" experiment designed to give a final answer. I thought it might be fun to do this as a video, showing the stages of preparation of a lab cement (necessary because, here in the UK at least, it is almost impossible to get a Portland cement that does not contain fine limestone, and I needed this for the control mix) and examination of three-month-old pastes in the scanning electron microscope using quantitative X-ray microanalysis and interpretation of the results. The result is absolutely clear-cut and definitive, with no wishy-washy "maybes" and "possiblys"! The final part of the video also looks at whether this actually matters, and suggests one particular "type" of concrete in which it might indeed matter. A lot. A "cheat sheet" that gives a one-page summary of the video is available on the Cembytes Resources Page - see below. There's also some additional information below that may help with interpreting the plots of X-ray microanalysis data shown in the video. 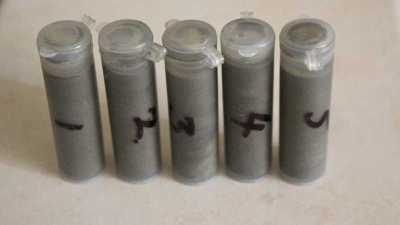 The video is about 20 minutes long and contains some scenes of cement chemistry. I'll have a look at them in about 3 months using the same techniques as in the fine limestone video. As soon as there are some results, I will let you know via Cembytes. Also in preparation: a two-part video on ASR as seen using the SEM. Again, when it is available, I'll let you know via Cembytes. Sign up here for Cembytes if you haven't already!